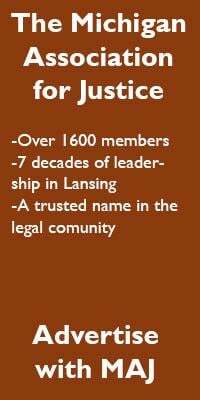 The Michigan Association for Justice publishes its Journal which is full of timely articles, information about the association, and much more. You can view past issues below. If you would like to submit an article for publication, please email MAJ Director of Communications Nate Pilon or call 517-321-3073. If you wish to submit items to our VERDICTS and SETTLEMENTS section please click here.